Home>All Posts>Annual Reports>When Noelia visited Mumbai Smiles !! Mumbai Smiles Foundation works in tandem with its sister organization in Spain called Sonrisas de Bombay. To support us, Sonrisas de Bombay under its umbrella has a number of voluntary groups. These groups are formed by a number of volunteers and are spread across Spain that organizes events and strikes memberships with people to help fund the projects of Mumbai Smiles Foundation. 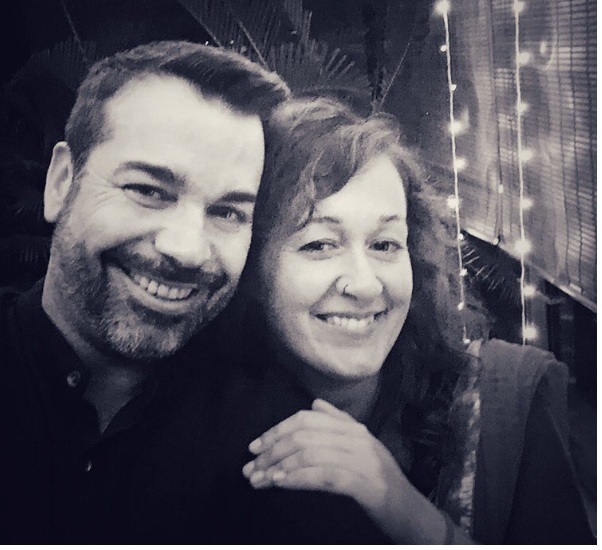 Noelia, the head of one such voluntary group in Galicia, Spain for the past 7 years now, recently visited Mumbai Smiles and we are so happy to have spent some time with her!! Noelia has been organizing many fundraising events and activities at other events in Galicia for so many years now. Having started with small stands at fairs and congresses to spread the word about Mumbai Smiles and its projects and the response was very good as more and more people were reading the book by our Founder & General Director, Jaume Sanllorente. 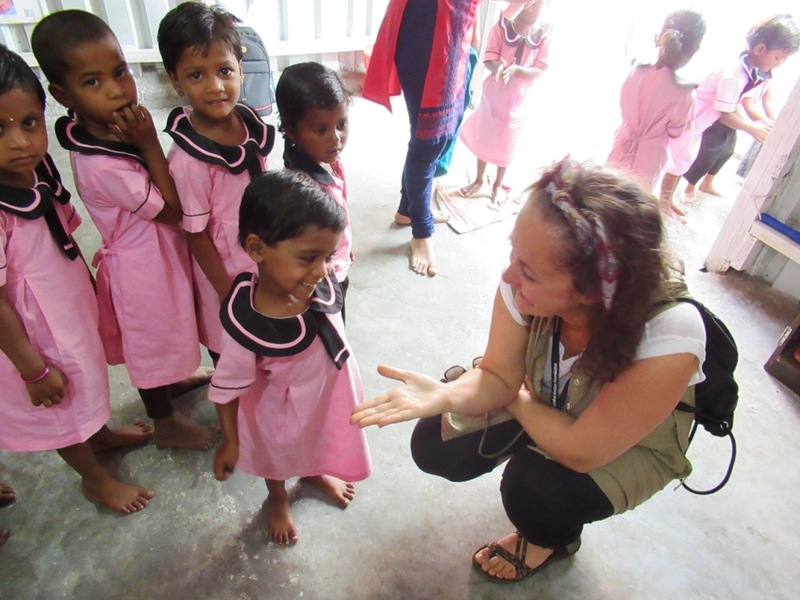 Recently, when Noelia got the chance to visit India and Mumbai again (she has been to India a few times before), she spent some time visiting the very projects which she supports through her voluntary work. 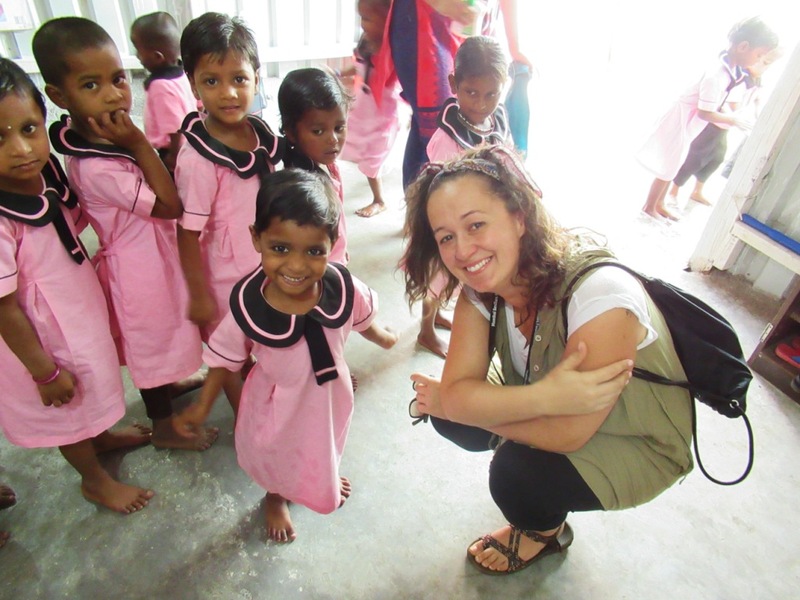 Here is her experience in her own words, “As a member of Sonrisas de Bombay for many years now, and as coordinator and volunteer of the GAS (volunteer group) of Galicia, I have enjoyed my second visit to the projects in Bombay. I have been to India several times, and in 2010 I was also in Bombay, and I have verified that it is a city very different from any city in Spain, and even in India, and very difficult for work because of the chaos that exists in its roads and their lifestyle, so different from what we are used to in Spain. I give so much credit to the team of Mumbai Smiles that works in such a complex city! On this occasion, I visited several preschool centres over the few days of my visit, where children with many financial and other deficiencies have a wonderful opportunity through these kindergartens. 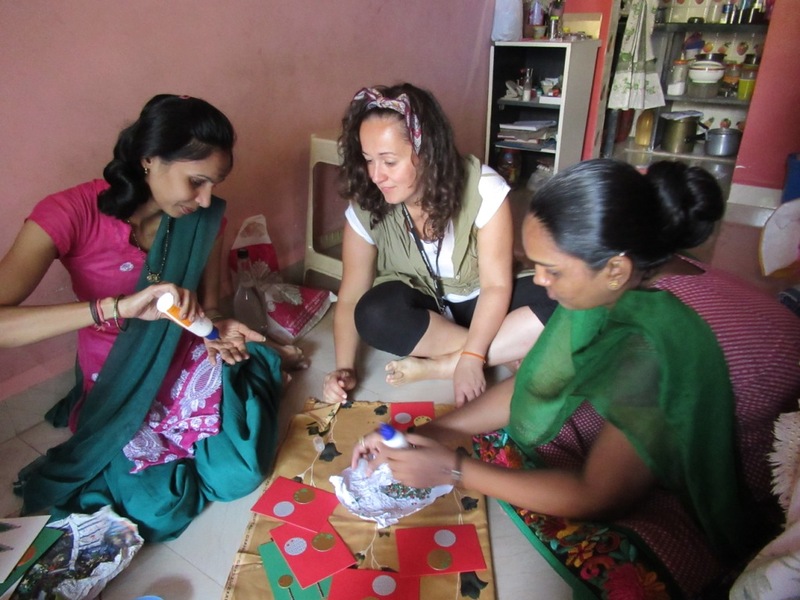 I also visited the Livelihood project to promote decent employment for women, where I was seeing how they work, with much love; at that time they were making the Christmas postcards that we bought later for multiple collaborations in Spain. I also visited the Life Skills Empowerment project sessions, where they work with teenagers, which is very essential for their development to become free and self-sufficient women (that’s the goal!). My trip was very very exciting, and in fact, on one of the nights I had the good fortune of going to dinner at a restaurant where Vijay works as a chef; Vijay is one of the boys who, as a child, was in the orphanage where Mumbai Smiles had started working in its initial years and it is so good to see him doing so well in his professional life! Thanks so much Noelia for such a warm feedback! We are so very thankful to you and happy that you have been an indispensable and invaluable member of the Mumbai Smiles family for so many years now and you do continue to support us in so many ways! Together we are working towards attaining the same goal but without the support of kind and pure hearted souls such as yourself, our work would not have been possible! Thanks so much and see you soon again! !